Specialists in the supply, installation, maintenance and repair of "Fire Doors" across Manchester, Liverpool & surrounding areas. So we're guessing that if you have found us you either need a fire door, require remedial works on fire doors, are a competitor or at the very least you're after some sound advice regarding fire doors. Operating in and around the areas of Manchester, Liverpool, Preston, Blackpool, Warrington, Wigan, Oldham, Bolton and Cheshire, we are the number one choice in the North West for all your Fire Door requirements. Most people who land on here will inevitably have had a visit from their local fire safety officer who has carried out a fire safety audit at their premises and identified that there are issues with your fire doors or maybe you are a facilities manager either way we are here to help. No intumescent/cold smoke seals installed. No over head self closing device or it is defective/needs adjusting. No fire rated hinges or only 2 fitted, there should be a minimum of 3 or screws missing or wrong size. Problems with glazed panels, not fire rated, loose glazing, damaged/missing bead etc. Doors binding on floor coverings and not fully self closing. Damaged doors with holes in them or incorrect vents fitted. The importance of fire doors in your property cannot be underestimated. The ultimate function of a fire door is to save lives and property, which in your case means your staff, employees, visitors, residents, people in your care, or your family, and the building that you're all located in that needs protecting. Therefore they are one of the most vital elements of a building, and have a double function, to provide protection from fire and smoke whilst enabling an escape route between and out of the compartments that are separated by the doors; hence the need and obligation for these fire doors and their fittings to comply and adhere to Building Regulations, Health & Safety, British/ European Standards, and THE LAW. Our team of experts at North West Fire Doors take pride in making this process easy for you; Our packages and plans, outlined below, can ensure you enjoy a worry-free and cost-effective solution that is tailored to your needs, to enable your business or property to fully meet necessary Regulations. If you are in any doubt about which doors should be fire doors then you may need a Fire Risk Assessment . 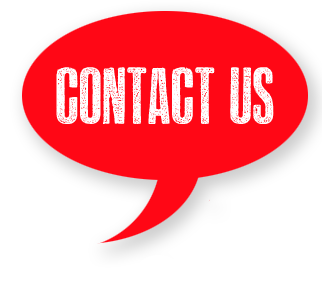 To speak to one of our team for more information, or advice on anything related to fire doors in the North West contact North West Fire Doors now on 01925 577 177 where a member of our office based team will direct your call to the most appropriate specialist. Whatever the problems don't panic we can advise you of the best solution and try to work within your budget to achieve compliance. Whether you are in Greater Manchester, Liverpool Merseyside, Cheshire, Lancashire and Cumbria we are only are short drive away. North West Fire Doors is a trading style of Spark Risk Ltd.